One thing that is not a treat for chickens, goats, and pets: Bobcats! We're being stalked by at least two bobcats. In broad daylight! Poor Fiona, our youngest Buff Orpington, lost a mouthful of feathers to the predator, who chased them all into a ruffled state. Luckily, we heard the commotion and William chased the bobcat off. We didn't lose any hens, but we've lost some peace of mind. 1. The chickens and goats are free to run around only when we are home. 2. Everyone is tucked in, and locked up for the night, before it's dark. But. Those bobcats aren't waiting for dark, so my safety measures don't feel quite so effective, and for three weeks our dear chicas have been cooped up. Locked in. Poor girls, on restriction, punished, when they've done nothing wrong. They're beginning to voice their objections, shake their wings in righteous indignation. And I don't blame them. It's not any easier for the goats. They've had days on end sharing limited living quarters with a bunch of feather heads. 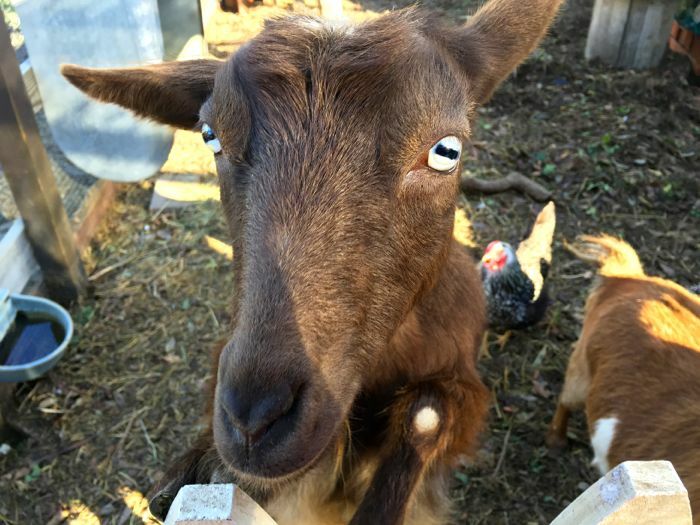 The chickens lay eggs in the goat's cottage, nest in their hay feeder, and out number the goats. It's 13 vs 2... and the goats are ready for some space! So, it's Poor Goats! And Poor Chickens! And probably the neighbors would add their names, too. We bring them cabbage, and oats. 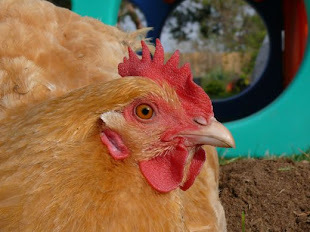 We've been laying down a lot of mulch, which makes for interesting scratching and pecking. Their circumstances aren't the worst, but they're eyeing me for something special. Something tasty, with protein. A treat they can crow about. Something's arrived in the post! All the way from the Grubbly Farm! We have a very special treat for you, and for some lucky friends, too! Looks like something our chickens are going to enjoy, so I will be sharing these with them today. I'll let you know what they think. 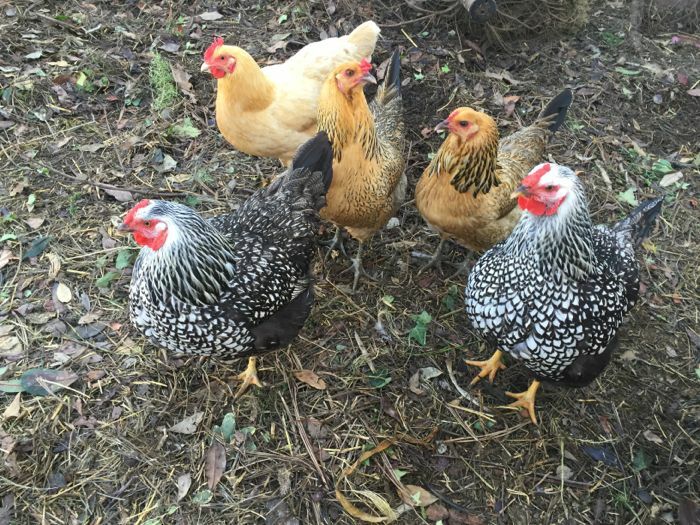 If this looks like something your chickens might appreciate, especially if their usual hunting grounds are covered in snow, you can use a special code and enjoy a 15% discount on your order at Grubbly Farms! Oh, dear! 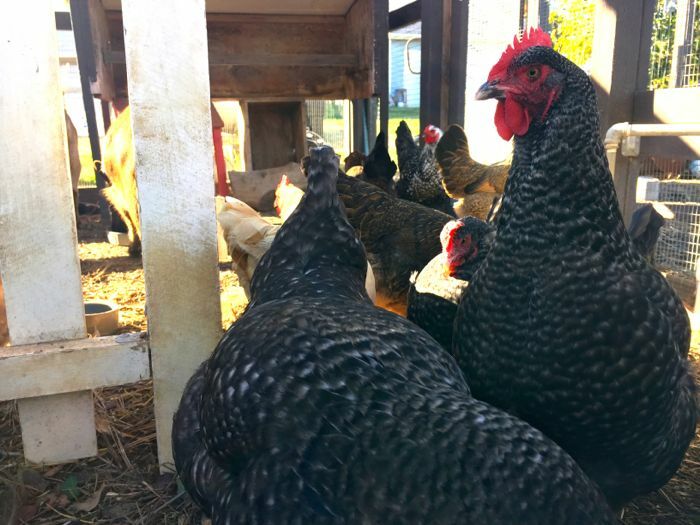 How will you know when it's safe for the hens to run free again? You are so good to give them winter treats! ME GUSTARIA TENER UN GALLINERO PERO IMPOSIBLE. 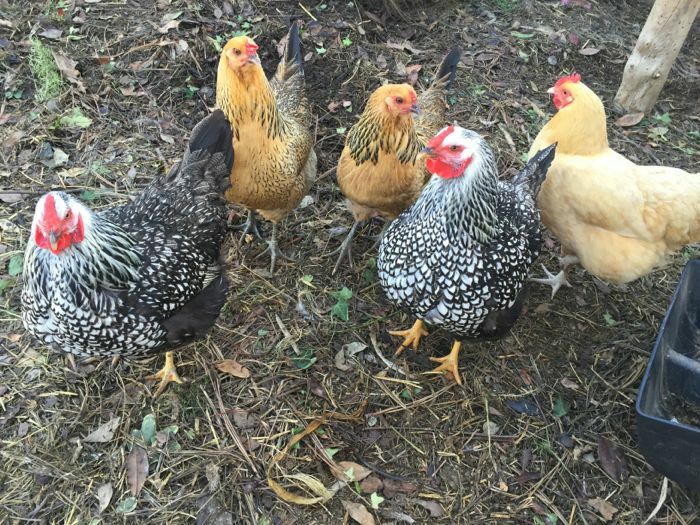 It's sounds like it's lucky you didn't lose a hen or two. Hopefully things will get back to normal soon. My husband has been reading all about black soldier fly larvae and is planning to "grow" his own when the weather warms up. 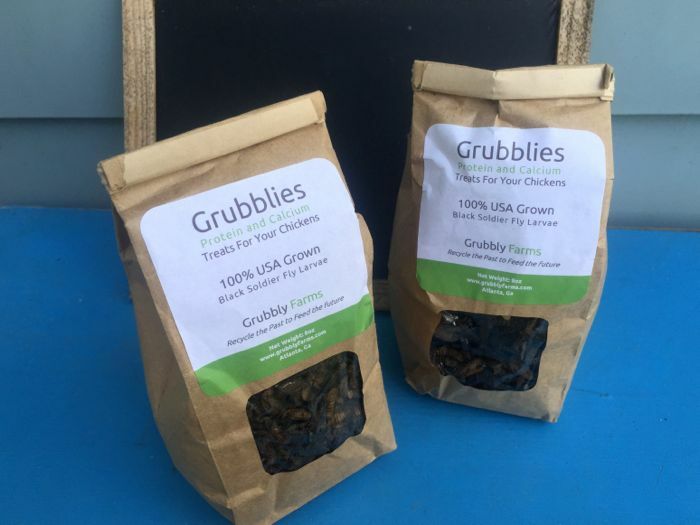 Do you know if Grubblies would be available in Canada? I was thinking that my girls would like them as a treat while the regular grubs are in hibernation.